Hey dolls! It’s my 30th birthday, so today is a special one! If you’re on instagram, you can check out some of my birthday adventures from over the weekend. I really did enjoy be surrounded by family and friends. The theme for this week’s Twinsie Tuesday polish roulette. I interpreted this as choosing a polish to post at random. With no rhyme or reason, I just chose an untried. 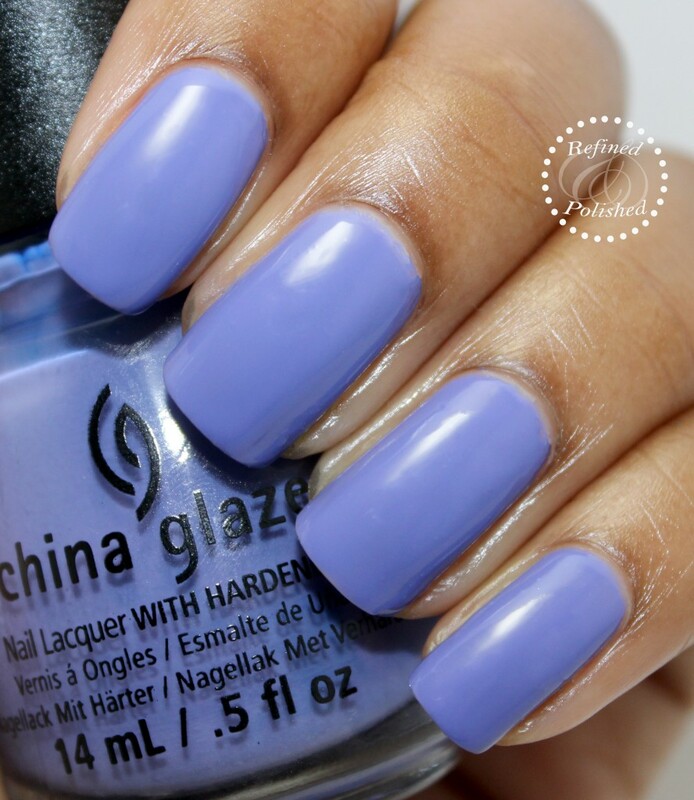 China Glaze What a Pansy is a purple with gray undertones. Depending on the light, this shade also leans blue. What a Pansy’s formula was thin and runny. I recommend only having a small amount of polish on the brush at a time to minimize cuticle pooling. The polish self-leveled well and two coats were used for opacity. What a Pansy is such a pretty shade! I love cremes that are unique and this polish falls into that category. I’m curious to see if I have any dupes of this shade. Be sure to check out the shades chosen via polish roulette by the other Twinsies down below!